Adath Jeshurun will host its annual Music Festival: “In the Key of Play: Rock & Reparte,” at 7 p.m., Sunday, March 17. The concert will feature pianist, singer, and songwriter Cantor Randy Herman along with Cantor David Lipp. Musical guests include Cantor Sharon Hordes, Jennifer Diamond, Mike Jarvis, The Jewish Community Choir, Teddy Abrams, music director of the Louisville Orchestra. visit adathjeshurun.com/musicfestival for reservations. The Temple’s WRJ/Sisterhood will sponsor its Annual Interfaith Coffee at 9 a.m., Monday, Feb. 4. This year’s theme is “Jews Around the World.” Temple members are encouraged to attend and sit at tables with guests to extend hospitality. Members are also encouraged to bake or buy breads, cookies, various and sundry sweets, and a few healthy things. Have your contributions to The Temple before Feb. 1 and labeled for Interfaith. RSVP by that same date at 502-423-1818. Anshei Sfard Knit & Qvell Circle will begin 2019 in a new meeting place. The group will meet at 3630 Dutchmans Lane, second floor (the new home of Anshei Sfard) at 1 p.m., Thursday, Feb. 7. All knitted items are donated to the Jefferson County Public Schools Clothes Closet. Call Toby Horvitz at 502-458-7108 for details. 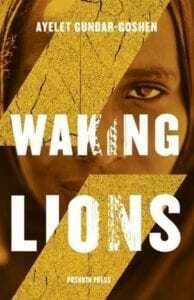 The AJ Book Club is reading Walking Lions by Ayelet Gundar-Goshen. The book will be discussed at the next meeting at 2 p.m., Sunday, March 31, at AJ. Contact Deborah Slosberg at dslosberg@adathjeshurun.com or call 502-458-5359. Keneseth Israel will make sandwiches and care packages for the homeless at 5:30 p.m., Thursday, Feb. 7. Bring your own supplies (bread, peanut butter and jelly, blankets, underwear, socks, flashlights, etc.) At around 6:30 p.m., the group will caravan downtown to give out food and supplies. The Women of Temple Shalom will hold an evening of wine tasting and paired delicacies at 7 p.m., Saturday, Feb. 9. Four different wines will be paired with small bites (cabernet sauvignon with stuffed mushrooms, pinot noir with salmon galette, etc.). Desserts also will be served. Cost is $20 per person. Guests are asked to be a “white angel” by sponsoring a bottle or two at $10 each. RSVP to Temple shalom at 502-458-4739 or information@templeshalomky.org. AJ will host a volunteer night at Gilda’s Club on from 6 to 8 p.m., Monday, Feb 18. Volunteers are needed throughout the day to prepare for the dinner, to assist with set-ups, decorations, and kitchen crew duties. For the dinner only, from 6 to 9 p.m., volunteers must be at least 20 years old, and could assist with serving, photography, Maître D’s, and clean-up. Contact Jessica Carner at Gilda’s Club at 371-3038 or jessica@gildasclublouisville.org, to sign up. Keneseth Israel’s next Dinyan will be at 6 p.m., Tuesday, Feb. 26. The program includes a musical Mincha/Maariv service and a catered dinner from Naked Hummus. Guest speaker Ann Niren will talk about Leonard Bernstein at his 100th birthday. Cantor Sharon Hordes, Miriam Bird and Jennifer Diamond will sing selections by Bernstein, Niren accompanying on piano. Donations to The Dr. Julius Wolk Dinyan Fund, which supports Dinyan, are appreciated; visit kenesethisrael.com and click “support us” or sending a check to KI. RSVP to gkahn@kenesethisrael.com. Jewish Learning Center-Chabad will offer a six-week course entitled “Crime and Consequence” beginning 7 p.m., Tuesday, Feb. 5. The course will examine 3,000 years of Jewish wisdom as it relates to criminal conviction, sentencing and prevention and rehabilitation. The classes, which are sponsored in part by the Jewish Heritage Fund for Excellence, will be held at the JLC, 1110 Dupont Circle. Call 502-459-1770 or visit myJLI.com to register. “Building Character: Jewish Principles of How to be a Good Person, 9:30-10:35 a.m. with Rabbi David Ariel-Joel. “Text Study: Beliefs and Lessons from Our Bible,” 7-8 p.m. with Ariel-Joel. “Kabbalah 1,” consecutive Sundays in February from 10 to 11 a.m.; “Prayer Book Hebrew and Concepts,” starting Sunday, Feb. 3, from 10 to 11 a.m.; “Treasures of Siddur Lev Shalem – The Psalms,” starting on Sunday, Feb. 3, from 11 a.m. to noon. “Beyond Borders,” Tuesdays, beginning March 12, from, 6:30 to 7:40 p.m.; “Vayikra/Leviticus: A Call to Holiness,” Tuesdays, beginning March 12, from 7:50 to 9 p.m.; “Vayikra/Leviticus: A Call to Holiness, Thursdays, beginning March 14, from 9:30 to 10:40 a.m.; “Modern Midrash,” Thursdays, beginning March 14, from 10:50 a.m. to noon. Contact Louisville Melton Director Deborah Slosberg at dslosberg@adathjeshurun.com or call 502-458-5359. Cantor Sharon Hordes leads a Kabbalah class every second Thursday at 6:30 p.m. The class looks each Hebrew month through holidays, Torah portions, healing areas and astrological connections. The next session is Feb. 14. Rabbi Michael Wolk will hold his next lunch and learn session at noon, Thursday, Feb. 7, at The Bristol on Main Street. RSVP to mwolk@kenesethisrael.com. Cantor Sharon Hordes and Lisa Flannery lead a monthly class that combines yoga with Torah study. Temple Shalom and Hadassah co-sponsor the sessions, the next of which will be Thursday, Feb. 21 at 6:30 p.m. The Temple holds Torah study sessions Saturdays at 9 a.m. in the Fishman Library, one hour before services. Coffee and bagels will be served. The Temple’s next Family Shabbat will begin with dinner at 6 p.m., Friday, Feb. 1. Cost is $5 for adults, free for children 12 and under. RSVP by Jan. 28 at thetemplelouky.org or 502-423-1818. Tot Shabbat will start at 6:45 p.m. follow by Tot Shabbat Oneg. The main service, led by the fifth graders, will start at 7 p.m.
All who are celebrating a birthday or anniversary in the month of February may participate in a group aliyah during Shabbat morning services at Adath Jeshurun at 9:30 a.m., Saturday, Feb. 2. Chabad will celebrate Shabbat with an interactive prayer service followed by a kiddush luncheon at 10 a.m., Saturday, Feb. 2. The Jewish Heritage Fund for Excellence is sponsoring. Call 502-459-1770 for details. The next family service at Adath Jeshurun for students in grades K through 7, and their families, will start at 11 a.m., Saturday, Feb. 9. The Temple will hold Scout Shabbat, honoring Troop 30, at 7 p.m., Friday, Feb. 8. Rabbi Joe Rooks Rapport will lead. Keneseth Israel will hold a Shabbat dinner on Friday, Feb. 8 immediately following night services, which begin at 6 p.m. Cost is $10 for adults, $5 fr children with $20 maximum per family. Contact KI at 502-459-2780 or rsvp@kenesethisrael.com. Pay online at kenesethisrael.com/payment. Keneseth Israel will celebrate February birthdays and anniversaries with a Kabbalat Shabbat service and desserts 6 p.m., Friday, Feb. 15. RSVP to 502-459-2780 or rsvp@kenesethisrael.com. Chabad will celebrate the conclusion of Shabbat with a havdalah service and guided meditation at 7 p.m., Saturday, Feb. 16, at Chabad House 1654 Almara Circle. The Jewish Heritage Fund for Excellence is sponsoring. Call 502-459-1770 for details. The Temple’s next Rabbis Shabbat Dinner, with a fish fry theme, is 6 p.m., Friday, Feb. 22. Cost is $5 for adults, free for children 12 and under. RSVP by Feb. 18 at thetemplelouky.org or 502-423-1818. Rabbi Diane Tracht will lead a 45-minute session of meditation and yoga connected to the practice of mussar at 11 a.m., Saturday, Feb. 23, at Adath Jeshurun. Wear comfy comfortable clothing. Contact Tracht at dianetracht@gmail.com for details. Chabad will hold a morning service and brunch on at 8:30 a.m., Sunday, Feb 24. The program encourages people to connect to G-d and to others. The Jewish Heritage Fund for Excellence is sponsoring. Call 502-459-1770 for details. The Temple’s WRJ/Sisterhood Shabbat, honoring the group’s dedication, will be held at 7 p.m. Friday, March 1. 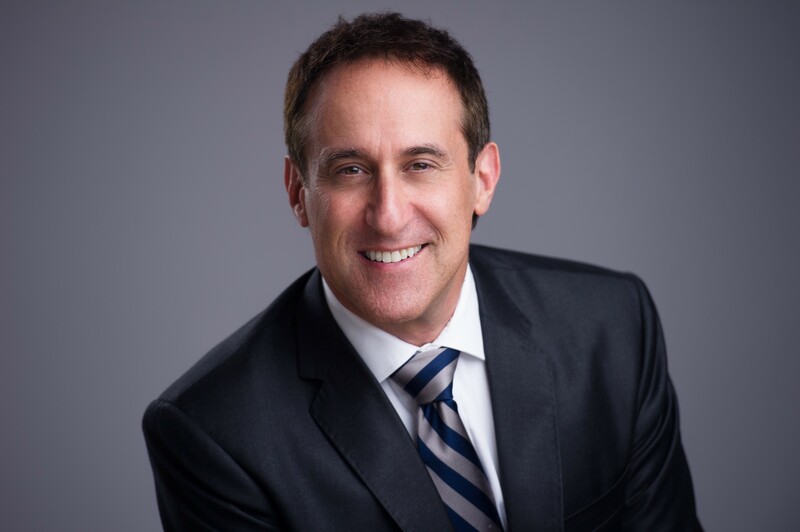 Adath Jeshurun will honor all minyanaires including AJ’s 2018 Minyanaire of the Year, Dr. Mark Newstadt, on Friday, March 29. Kabbalat Shabbat service begins at 5:45 p.m. followed by a Shabbat dinner and awards ceremony at 6:30 p.m. Visit adathjeshurun.com/minyandinner by March 22 to RSVP. Contact Molly Evancho at 502-458-5359 or mevancho@adathjeshurun.com for details. Minyanaires will have special honors in the Shabbat service on Saturday, March 30, beginning at 9:30 a.m. A Kiddush lunch will follow.